Accompanied officials, very nicely explained about the features of *Mahindra's gusto, Centuro, and mojo to the students. *After this, students, visited the core sections of the plant where they came across the *assembly line, machine line, painting, and testing sections. * They have witnessed different operations, like how parts are machined, drilled, testing of engine etc. and then ultimately assembling of step by step to make a complete 2 wheeler. 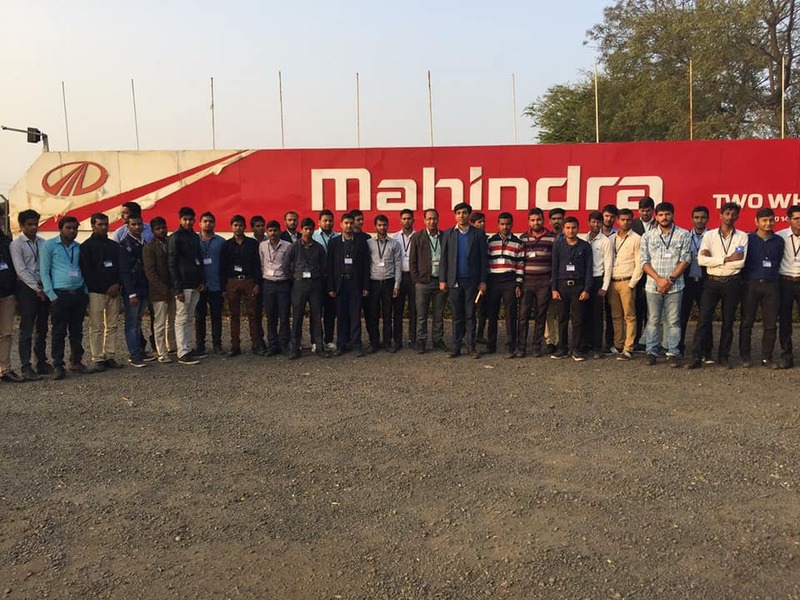 Overall it was a very educative industrial visit for the students full of learning.